The Peoples Democratic Party (PDP) has advised Governor Gboyega Oyetola of Osun state to “salvage his eroding integrity” by choosing not to appeal against the judgment of the tribunal panel that sacked him as governor of Osun State. The main opposition party argued that by accepting the option of not appealing the judgement, Oyetola would be seen as a hero. The PDP, in a statement signed and issued to journalists yesterday by the Deputy National Publicity Secretary of the party, Prince Diran Odeyemi, said Oyetola may be offered even bigger political opportunity in the future if he failed to appeal the tribunal’s decision. It also urged Oyetola to search his conscience and ask himself if he truly won the September 22 governorship election. 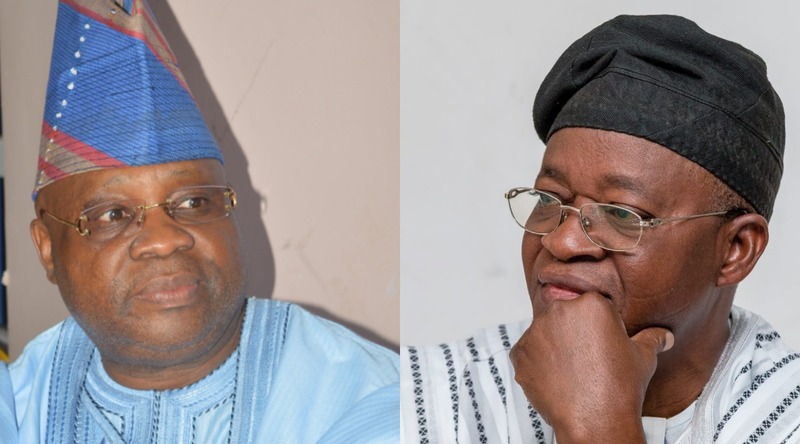 The PDP spokesperson further told Oyetola not to succumb to the pressure from the people who want to use him to have continued access to Osun’s treasury. “Oyetola should remember that he will continue to bear the moral burden of sitting on another man’s mandate, he should remember that history will continue to recall him as a beneficiary of a stolen mandate. “But the judgement delivered at the Tribunal presently offers him a rear chance to restitute and tow the part of honour as we are aware that INEC is unwilling to appeal the unambiguous conclusion of the judges,” Odeyemi added. He then commended the judiciary for standing for the truth and warned APC against further disrespect for the judiciary and the Constitution of the country by attempting to circumvent the course of justice. The post “Oyetola Should Remember That He Will Continue To Bear The Moral Burden of Sitting On Another Man’s Mandate, appeared first on LATEST NIGERIAN NEWS BREAKING HEADLINES NEWSPAPERS.